Each time my husband and I go camping in the backcountry of Algonquin Provincial Park, he tries to very hard to streamline what we he will be carrying. This trip will have has traveling about four hours by van, then canoeing and portaging another four and a half hours, with our final destination being Burnt Island Lake. Now this is by no means a complete list, but a start. Remember we have to pack all of this in two barrels, two knapsacks, and the canoe. 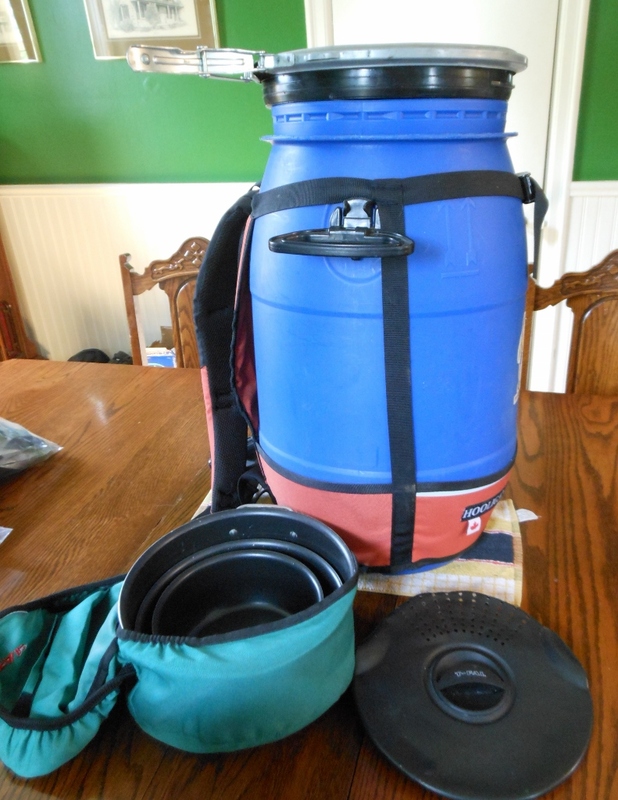 For food, because we are going into the interior of the park, bringing a cooler is just crazy, it would just add another thing to carry, so we eat dried food where you just need to add boiled water (lake water we have boiled for five minutes). Now I can understand his point, but really I need cream for my coffee. This entry was posted in air mattress, Algonquin Provincial Park, Axe, bear spray, biodegradable dish soap, bowl, bug spray, Burnt Island Lake, camera, Camping, Camping supplies, Canoes, Clothes, coffee, coffee filters, coleman stove or burner, compass, cups, fire starter, first aid kit, fishing license, fishing rods and equipment, flash lights, food, fork, frying pan, fuel, kettle, knife, life jackets, map and tagged Medication, Ontario Parks, paddles, plate, rope, safety bailer, saw, sleeping bags, spoon, sun lotion, tarp, tent, tin foil, toilet paper, tongs, water bottles, whistle on June 4, 2014 by AlwaysARedhead.